Here’s something I got as a gift from my brother. 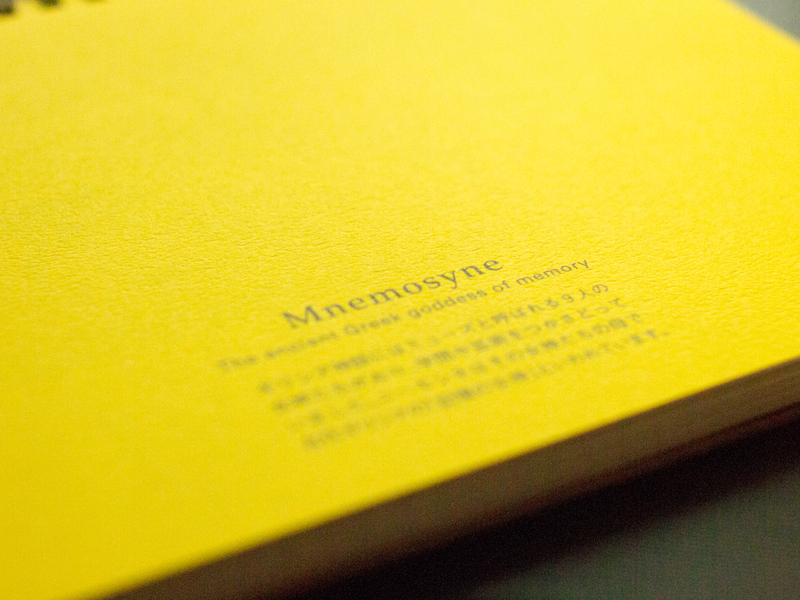 It’s a Mnemosyne spiral notebook with grid paper. It’s my first time to try Mnemosyne and I’m pretty satisfied with it, for the most part. 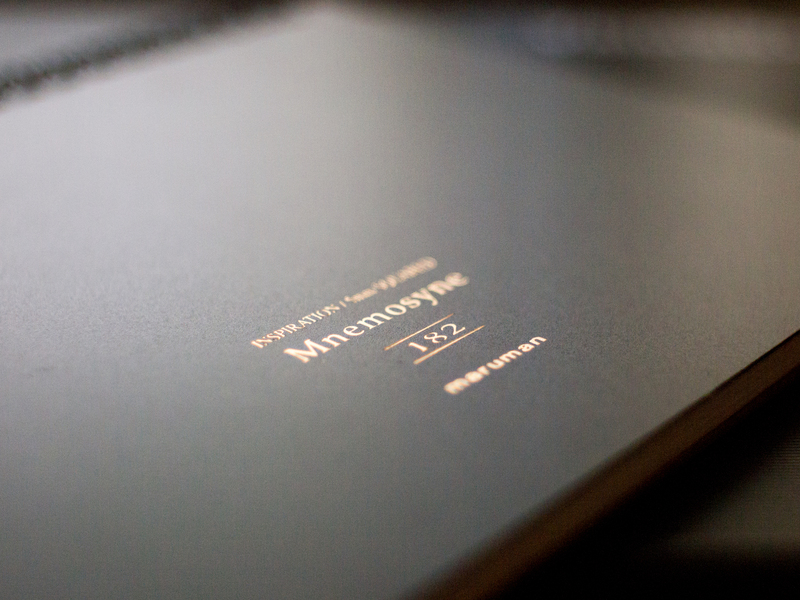 The cover is hard black plastic, which looks scratch and stain resistant, making it an ideal notebook. Inside is a cardboard flyleaf. The paper on this notebook is pretty good. It’s so pleasant to write on because it has this nice feedback. There’s not much coating on it to make it too slippery for ink. 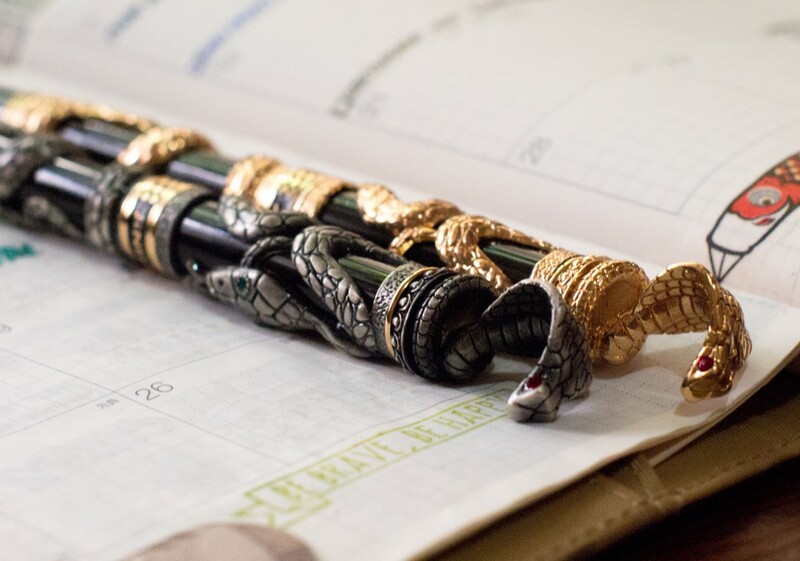 Any kind of pen will do well with this kind of paper, I think. 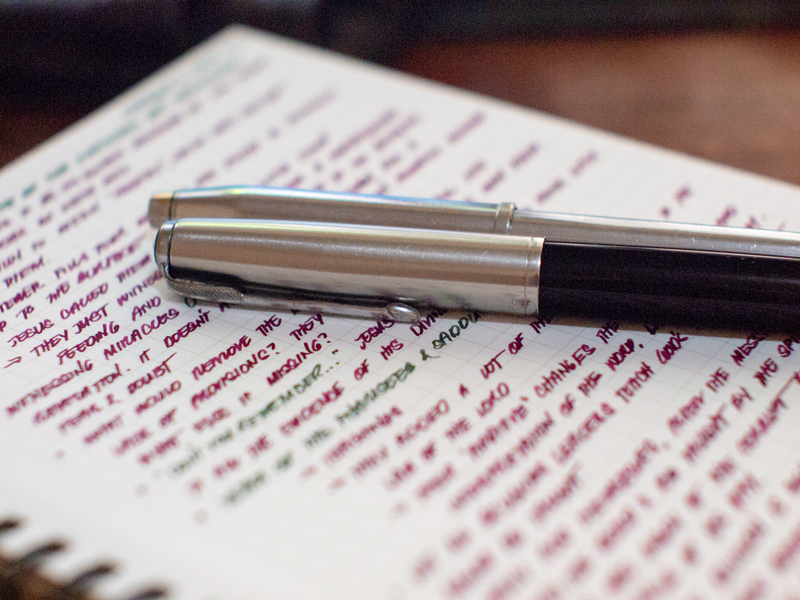 Since I favor fountain pens, I immediately put it to the 1.5mm test. Needless to say, it performed very well. I like that the paper keeps the vibrancy of the ink even after it has dried for a few days. The paper shows off the shading of the ink so beautifully, but unfortunately it doesn’t play well with sheen or micronized gold particles. 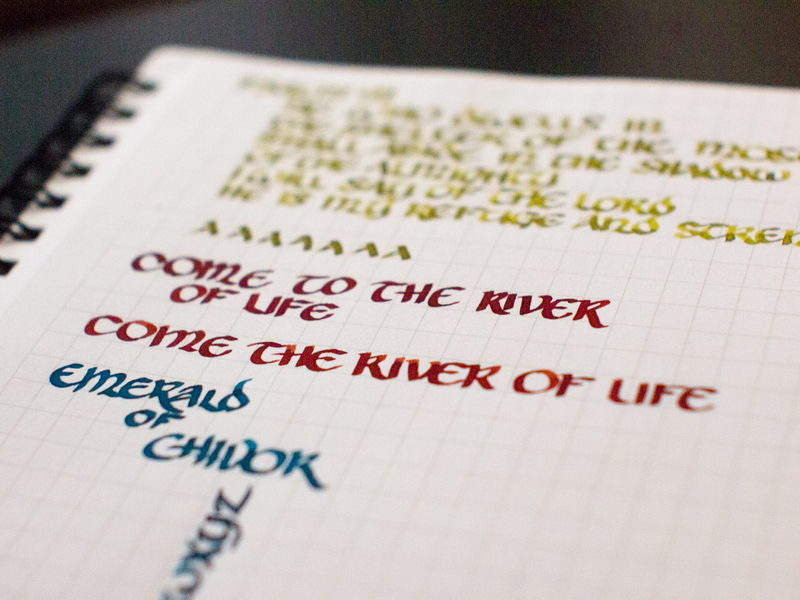 Emerald of Chivor looks like a dark blue green color, Stormy Grey is just dark grey. You can probably spot a teeny bit of sparkle there, but it’s negligible. That’s the downside of this paper. It doesn’t showcase the characters of the ink too well, except for the shading. It’s pretty resilient to bleed through, though. 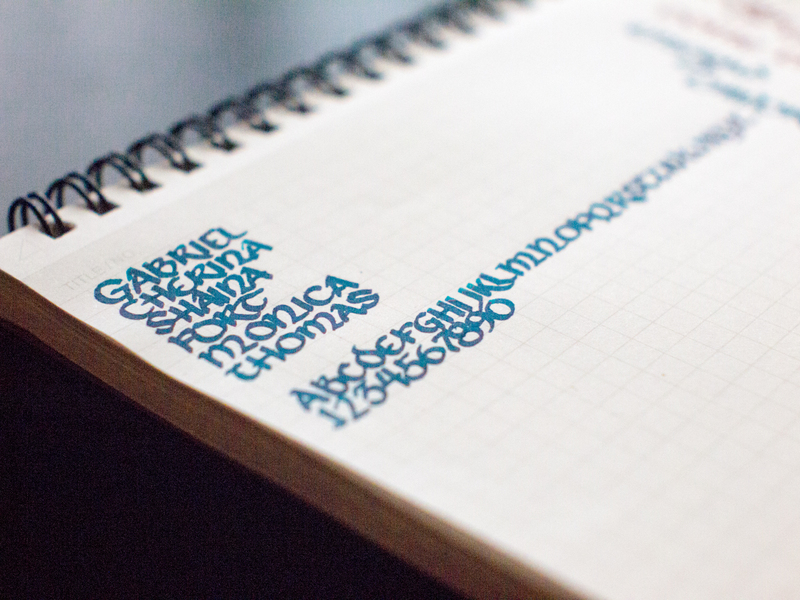 On a 1.5mm nib with one of my wettest inks, it held up pretty well. The front of the pages are grid-lined, the backs are blank. 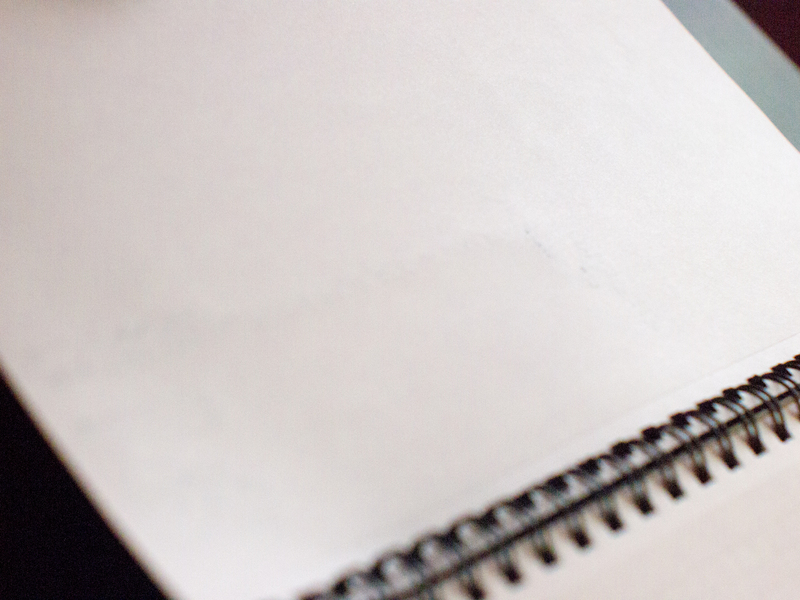 The pages are also perforated so that you can tear them off neatly if you need to. I like that. 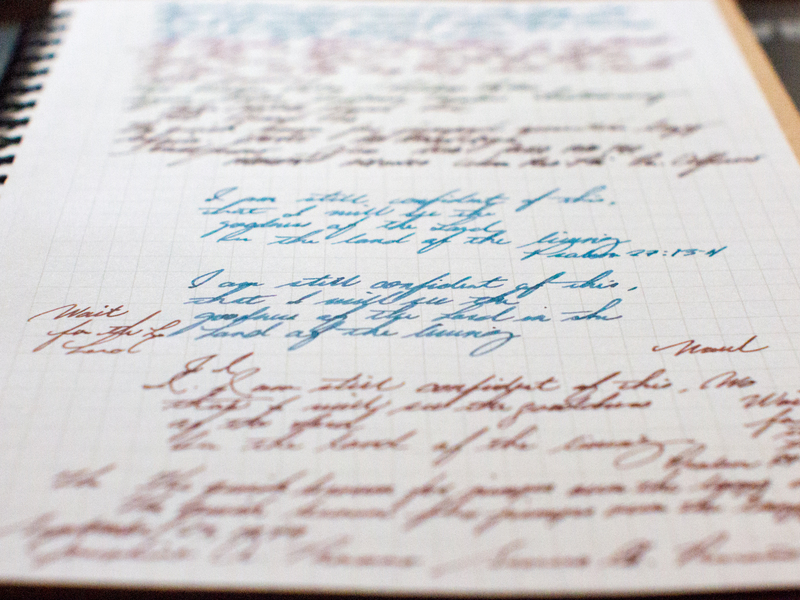 The verdict…it’s pretty good, if you don’t mind the lack of sheen on sheen-y inks. This is pretty nice to write on, and the paper’s quality feels great. This notebook and a steno version of it is available at pens-galore.com.